Where do I find my assigned work? How can I see my scheduled tasks and find out what needs working on? 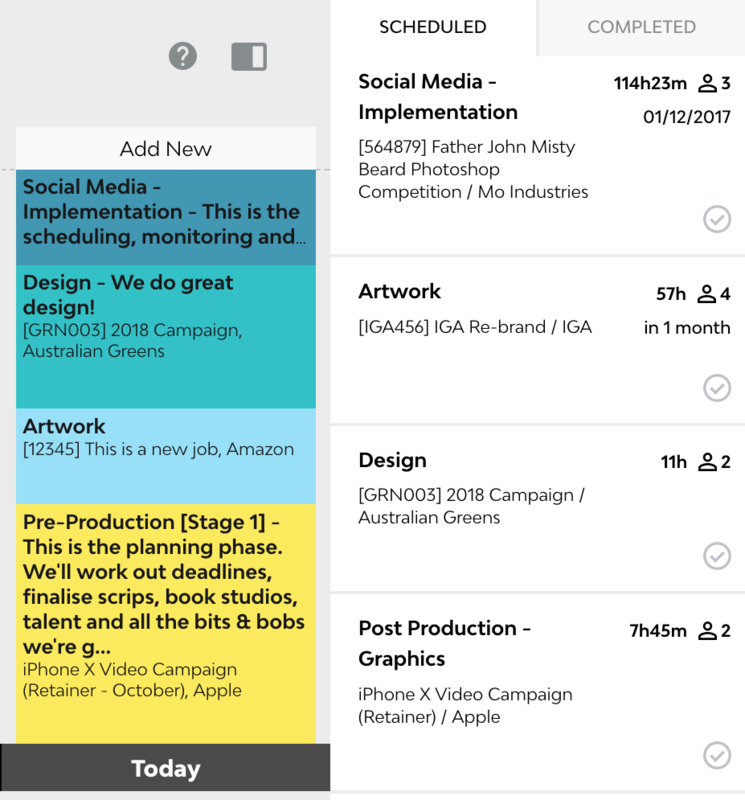 The To Do screen is where you will find all the work that you've been assigned. Work that you have been scheduled can appear in two areas in the To Do screen, either in the sidebar under Scheduled, or on your To Do list. Open the sidebar to see a list of items that you have been assigned to, sorted by priority. The side panel shows you everything you've been assigned to work on and when it's due. It also indicates the remaining number of hours to be worked on an item, and the number of team members assigned to the item. Work is able to be scheduled directly onto your To Do list in Streamtime - some managers prefer to work with this level of control. In such an instance, the scheduled task will appear directly on your To Do list, along with any notes included by the scheduler.